Roly's Fudge Pantries See where Roly's Fudge is stocked Show me everywhere! Roly’s Fudge is now open in Lymington and Lyndhurst! We are delighted to announce that we are now open in two more beautiful locations! 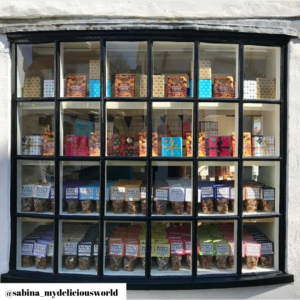 To get your regular fudge fix, you can now find us on The Quay in the beautiful town of Lymington or in the lovely New Forest village of Lyndhurst. Since 1987, Roly’s Fudge has been enticing customers with its delicious, crumbly fudge. All of our creations are made using traditional methods in front of your eyes in our pantries, so you see the full fudge experience! We’re all about the senses, attracting visitors with retail theatre, the smell of freshly made fudge and of course free samples! We only use high quality and carefully sourced ingredients and have zero food waste. As with our other pantries, all fudge sold in our New Forest locations will be made on site and in full view of visitors using our traditional, proven and award winning recipe. Both Lyndhurst and Lymington are located close to the New Forest and are the newest ventures for Helen and Jeremy, who also own Roly’s Fudge Pantries in nearby Arundel and Chichester. The historic town of Lymington is a beautiful seaport with a rich maritime history. Located on The Quay, our fudge is the perfect treat to enjoy whilst watching the luxury yachts and fishing boats go by! The colourful setting provides a perfect backdrop for our new Roly’s Fudge pantry and we can’t wait for you to stop by for a taster of our fresh handmade fudge, made on site in front of your eyes! The village of Lyndhurst is also rich with heritage and is considered as the administrative heart of the New Forest. There are plenty of things to explore in Lyndhurst, from visiting the grave of the girl who inspired Alice in Wonderland, to enjoying the wonderful views on Bolton’s Bench. Why not add stopping off at Roly’s Fudge to your list of things to do when paying a visit?